The getting started instructions for Intel Edison instruct you to open a terminal and delete the contents of /Volumes/Edison. Unfortunately, if you leave the terminal window open while attempting to partition your Edison ,you will see this error. 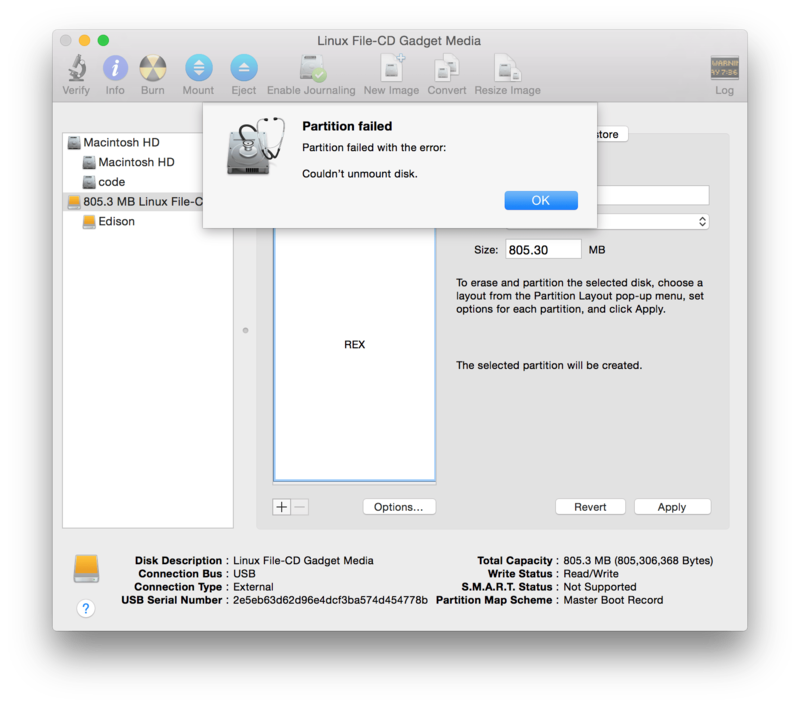 The solution is simple: Close the terminal before trying to partition the disk! ← What makes the Raspberry Pi an IoT device?